TOKYO (AP) — An attorney for an American executive arrested in Japan on suspicion of collaborating with former Nissan chairman Carlos Ghosn in financial misconduct said Friday that his client is innocent. “He had talked to people in the company and to outsiders, and he believed everything he did was done totally legally,” Harwell said in a telephone interview from his office in Nashville, Tennessee. Kelly and Ghosn were arrested Nov. 19 in Tokyo on suspicion of collaborating to underreport Ghosn’s income by $44 million over five years. They have not been able to make any comments while detained in Japan. Ghosn’s arrest stunned the world as he was long a respected figure in the global auto industry. He led the revival at Nissan from the brink of bankruptcy over the last two decades. Nissan has ousted Ghosn as chairman. The board of Renault SA, the French automaker allied with Nissan, has retained him while naming an interim chair and requesting more information about the allegations. Kelly’s assertions on Friday make it likely Ghosn may also say he is innocent. Neither Ghosn nor Kelly have been formally charged. Their detention was extended on Friday until Dec. 10. They will continue to be questioned at a detention center in Tokyo. 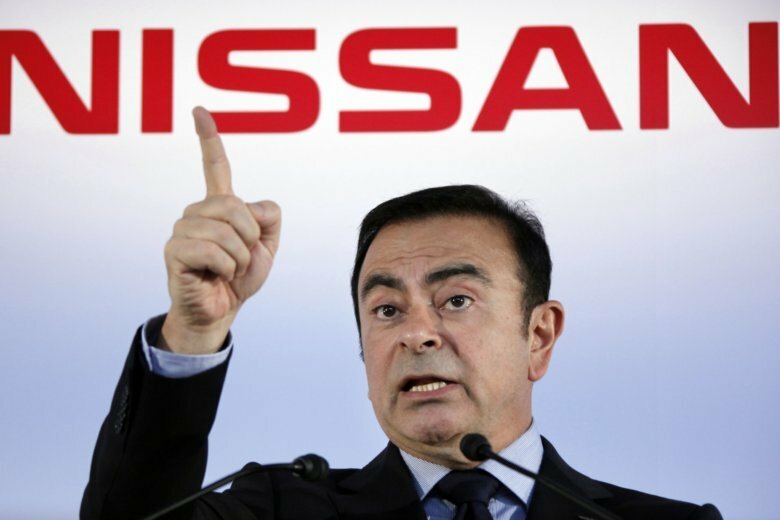 Nissan Chief Executive Hiroto Saikawa has said Ghosn and Kelly worked together as “masterminds” in a scheme to under-report Ghosn’s pay, and use company money and assets for personal gain. Nissan’s internal investigation found documents showing Ghosn’s “deferred income,” meaning he would get paid after retirement, according to a source familiar with the investigation. High-profile executives in Japan have been able to use the system of deferred pay legally. Ghosn, 64, has hired Paul, Weiss, Rifkind, Wharton & Garrison LLP to represent him. The New York-based law firm has as its chairman Brad Karp, who was chosen attorney of the year by the New York Law Journal. Kelly, 62, has been a member of Nissan’s board since 2012. He joined Nissan North America in 1988, and worked in legal counsel and human resources at the company. He has a doctorate in law from Loyola University School of Law and a B.A. in public administration from Augustana College. Harwell said Kelly was “holding up well.” He will not be able to see him until he is released, but he will go to Japan if Kelly is not able to travel to the U.S., he said. It is unclear when he will be released. He has not been able to talk to Kelly directly and is working with attorneys in Japan, Harwell said.